Is the PR procurement process fit for purpose? Is it broken? Home » Public Relations » Is the PR procurement process fit for purpose? I have recently been involved in the PR procurement process for a membership organisation wanting to find a new public relations provider. I found the whole process a real eye-opener and it has made me think about how organisations go about choosing PR support and wondering if there can / should be guidance to ensure both sides – supplier and client – get the most out of the process. Should there be a standard for how to procure PR services? NB: I did not win this particular contract, but this post is not as a result of any bad feeling or sense of injustice as I was not treated any differently to the other PR providers in the procurement process. In my experience as an Independent PR Practitioner, the PR procurement process is quite simple. I am generally invited to meet with one or two people from the (potential) client, I may be given a brief in advance which we discuss at the meeting, but usually it is an open discussion (a chemistry meeting, if you like) and we discuss what the business / organisation needs and how I can help them. On occasion I have been asked back for a follow-up, but generally, the decision on who to engage is made after one meeting. As an Independent PR Practitioner I have never experienced a catwalk – this being when a number of PR people are paraded in front of a panel – but believe this is more usual for PR agencies. This post, therefore, is only from the experience of one catwalk – which may not be a fair representation of what others encounter. Before I attend any first meeting, I always send a creds document and direct them to my website to read case studies, testimonials, blog posts, etc. to get a feel of who I am, what I do, etc. My most recent experience started off well. I was sent a brief (of sorts – the most salient being nine tactics on their wishlist) to which I was asked to advise of my costs and the way in which I work with clients. I made it very clear that I am an Independent PR Practitioner. I was shortlisted and invited to a meeting with the CEO and Membership & Communications Manager. We had a really positive session and I reiterated that I am an Independent Practitioner and call in extra resources as required – I only work with members of the CIPR and CIM, and preferably Chartered members. It was also evident that I have not worked in their sector before. I was told that a shortlist of three would be selected who would be asked to meet Board members and given a scenario to present to them. I was delighted to be called back as one of the final three. So far so good. However, from my perspective, this is where the procurement process went downhill. The problem I found was that there was no apparent appreciation on the part of the (prospective) client of the time required to prepare for the catwalk. They asked for a presentation to nine people on one of three scenarios plus a response to a crisis situation (which they provided detail of). These presentations, background information on me and my company plus time for a Q&A needed to be fitted into a forty minute slot. As an Independent Practitioner, the time I spent preparing for this catwalk was at the expense of working on paid client work. My decision I know, but as I wanted to make a good impression and portray the best of my thinking, I spent three solid days working out a feasible strategy for the scenario, plus my recommendation how to handle the fictitious crisis situation, creating a presentation and printing and binding it as a leave-behind and belt-and-braces in case technology failed me. The three days I spent preparing for the presentation was on top of the whole day I was out of the office as the presentation was in the Midlands (and I am based in Surrey) – oh, plus the cost of the train fare (they did fortunately give me enough notice that I was able to get a cheap train fare). Whether I was awarded the contract or not, I still devoted four days of time to this prospect – that’s four days I did not get paid for. Well, five days actually as the first meeting was a three hour round trip with a nearly two hour meeting, plus my prep time. Jump to the end, and I received an email to tell me that I had not been successful. When I pressed for feedback, the response made my blood boil – not because I was not selected (as I am pretty philosophical about this), but because the reason I was given meant I stood absolutely no chance of being selected as I am the polar opposite of who they chose. This is where the lack of appreciation (or even professional respect) comes in – or perhaps it is a lack of understanding – of what is involved in what they asked to be presented to the Board. The feedback I received was: “Whilst the panel felt you had a strong background, it was purely a question as to whether it would be a risk working with a one-person team. The appointed team have knowledge of a lot of the regulation and technology for our sector.” If they were going to choose an agency with sector experience all along, why ask me – an Independent Practitioner with no sector knowledge but oodles of membership knowledge and experience? Did they make their decision difficult by having to compare apples and pears, or did they make it easier by asking me there to convince themselves they were right in wanting an agency? NB: A member of the panel asked how important a client they would be to me and how I would be able to cope with fluctuations in workload as I work on my own. I never try to fudge or disguise that I am an Independent Practitioner as I feel engaging my services has distinct advantages for a client – I am loud and proud about the benefits of engaging my services (as a Chartered PR Practitioner and Chartered Marketer) and my merry band of associates and have always been able to extol the virtues of engaging an Independent Practitioner … if challenged, as I was. I have chalked this one up to experience and will make sure that I ask far more questions about what a prospective client is looking for in future – and will not dwell (too much) on the five days of income this particular organisation has lost me. A large agency has more manpower to devote to such a time-intensive procurement process. A small agency – or independent – just suffers loss of income. Would guidance on the procurement process – a type of best practice in procurement guide – help? The CIPR published a procurement toolkit back in 2006 – but perhaps this could be updated. What do you think? When I ran an in-house PR team I never put suppliers through this time-consuming catwalk. I would give a brief to two or three providers (being upfront about the number of companies being contacted) and invite each of them to an informal meeting asking them to give me an indication of what they would do for me, plus clients to contact for references. I would most likely make a decision after this stage. Job done. I failed then, and still do, to see how asking for presentations on strategy involving lengthy time commitments in preparation, will make the decision easier for me. 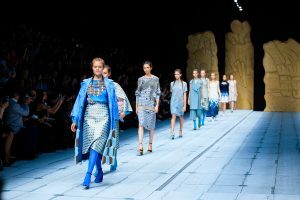 Is there a solution or potential for best practice guidance on the PR procurement process to be updated to help alleviate the huge amount of time pretty-much wasted on pitch catwalks? But it does boil down to people not understanding there is a cost for supplying a quote. How many tradespeople have we called for an estimate and not got round to getting back to? It gets worse for public sector tenders where there is an enormous amount of time and hidden cost imposed on the private sector. I’ve called for a ‘Time Tax’ where any public sector tender has to collect how much time of the private sector was used in the process. There should be some accountability for how much ‘Time Tax’ has been created with the aim of reducing this as much as possible. Very frustrating what you have been through . Sadly, there’ll be many more.